GOOD FRIDAY Friday April 19, 7:00 p.m. Please plan to bring someone with you — car pool for those who don’t drive at night. 8:00-10am EASTER BREAKFAST – Come start your Easter with a yummy breakfast and fellowship, and help support the Youth and Church Retreat Funds. FLOWERING OF THE CROSS: Bring a flower or several to remind you of loved ones, and help to “flower” our cross. 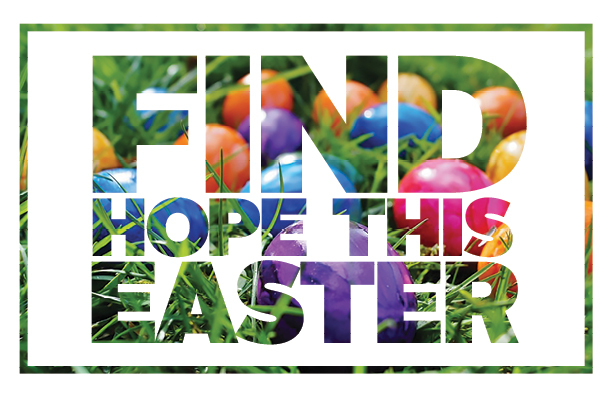 10:30 a.m. WORSHIP & Young People’s Message, followed by the rest of the service for adults and Sunday School and Easter Egg Hunt for the kids. All-church photo after the kids’ Easter Egg Hunt.